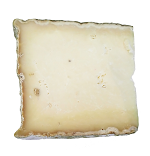 A yellow wax covered, extra mature, smoked cheddar from Wales. Rich, creamy and full of flavour. Made with pasteurised cows milk and suitable for Vegetarians. Price is for one 200g cheese. A black wax covered, extra mature, cheddar from Wales. Rich, creamy and full of flavour. Made with pasteurised cows milk and suitable for Vegetarians. A black wax covered, extra mature, cheddar from Wales. Rich, creamy and full of flavour. Made with pasteurised cows milk and suitable for Vegetarians. Price is for one 200g cheese. A green wax covered, extra mature, cheddar from Wales. Rich, creamy and full of flavour. Made with pasteurised cows milk and suitable for Vegetarians. From the same makers as Black Bomber. Price is for one 200g cheese. 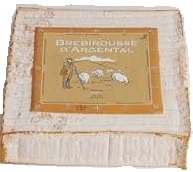 A two month long maturation process, which allows a natural rind to develop to seal in the flavours, is what gives the cheese its rich creamy, tangy taste.Fresh, crumbly and lemony are words often used to describe the taste of this cheese. Made with unpasteurised cows milk. A mature Welsh Cheddar flavoured with fresh horseradish and parsley. 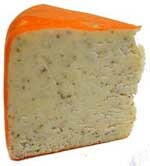 Harlech cheese is coated in a distinctive bright orange waxed cover.Made with pasteurised cows milk and suitable for Vegetarians. 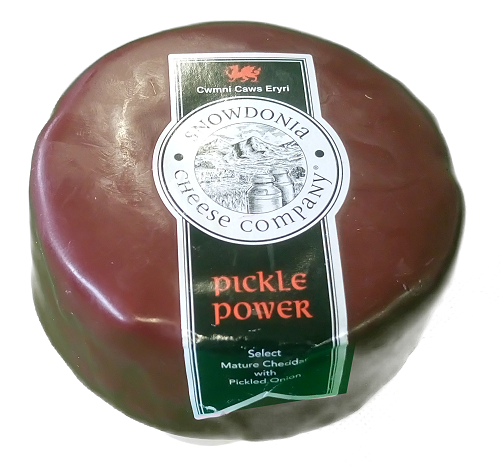 A maroon wax covered, mature cheddar from Wales with added pickled onions. Rich, creamy and full of flavour. Made with pasteurised cows milk and suitable for Vegetarians. Price is for one 200g cheese. A mixture of Red Leicester and chilli, with crushed pepper corns. Quite spicy. Made with pasteurised cows milk and suitable for Vegetarians. From the same makers as Black Bomber. Price is for one 200g cheese. A mature cheddar blended with fresh chives and shallots. Very flavoursome. Made with pasteurised cows milk and suitable for Vegetarians. Each cheese is made from mature cheddar cheese blended with whole-grain mustard and Welsh ale.It has a full tangy mustard flavour, moist texture, pale-yellow colouring speckled with the mustard grains.. Made with pasteurised cows milk and suitable for Vegetarians.